Just your friendly neighborhood beaver! The Beaver Mascot Costume is the perfect costume for your sporting event, carnival, festival, or even just for Halloween! It includes deluxe furry jumpsuit with zipper back, matching shoe covers, over-sized feet, and paw gloves. The over-sized mascot head is foam with matching furry exterior, with foam eyes, ears, nose, and teeth, and mesh mouth opening that serves as a viewing window/eye hole. One size fits most adults. 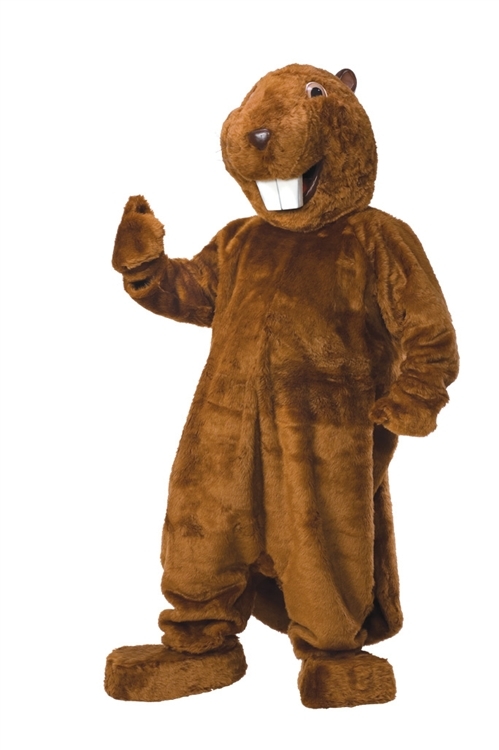 Go all out for your next party or event in this Deluxe Beaver Mascot Costume!